It is scary to note the pervading fear across board: that justice may be difficult to obtain against a ruling party. It is believed that only an overly courageous judge can muster the audacity to acknowledge an irregularity and annul an election that the ruling party won. Democracy thrives with an independent judiciary that is insulated from undue interference. The judiciary is the hope of the common man, as well as the political elite. Nigeria has just concluded its general elections in which the contest for political power assumed unimaginable acmes with democratic institutions weakened and sabotaged by the state; rampageous political thugs destroyed election materials, abducted and raped election officials; voter suppression manifested through the arbitrary cancellations of votes and purchase of voter cards from eligible voters; and selective and non-application of electoral guidelines and violence were the order of the day. These elections have come and gone, and attention has shifted from the umpire who may have not sufficiently discharged its constitutional responsibilities. All eyes are now on the judiciary, which is not just the third arm of government but the umpire to adjudicate the petitions arising from the elections. 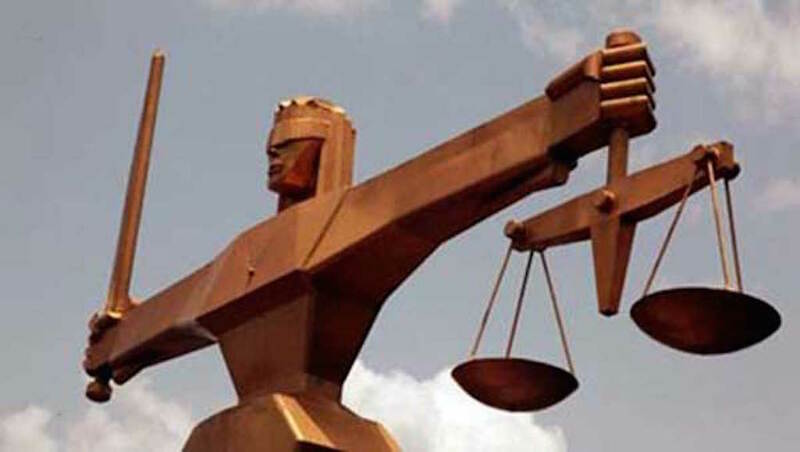 In recent times, the Nigerian judiciary has been mired in corruption scandals, and their Lordships have been accused of consistently desecrating the sacred temple of justice without reprimand or sanction. Since the Buhari administration came into office, there have been stings targeted at the judiciary, with the most recent being the suspension of the chief justice of Nigeria on the basis of the non-declaration of asset. Admittedly, there is corruption in the court, however the attacks on the temple of justice have further eroded the trust and belief in the judiciary as the hope of the ordinary man. This distrust will play out in the election petitions where, even if the courts correctly dispense the law, they are likely to be perceived as partisan and for hire. It is scary to note the pervading fear across board: that justice may be difficult to obtain against a ruling party. It is believed that only an overly courageous judge can muster the audacity to acknowledge an irregularity and annul an election that the ruling party won. This perceived fear of intimidation and accompanying backlash, as well as the fear of the outbreak of violence, are palpable sources of worry for most judges today. It is therefore plausible to opine that instilling fear in judges is a viable tactic employed by politicians to muscle the judiciary and undermine its ability to deliver justice. The judiciary cannot be sequestered from culpability. The number of conflicting judgments issued on the same or similar matters by courts of coordinate jurisdiction is alarming. Some judges are either yielding to corrupt politicians or shying away from their responsibilities and in that guise issuing contentious judgments. Since the conclusion of the elections, we’ve witnessed the abuse of court processes. The first pertained to a judge who ruled on matters falling within the purview of an election petition tribunal; subsequently, others started dishing out injunctions prohibiting the counting of votes and restraining tge Independent National Electoral Commission (INEC) from organising supplementary elections and sundry matters. If the interest of justice was ever considered, some of the anomalies that unfolded would never have seen the light of the day. The New Normal is for politicians to perpetrate electoral malpractices and urge their opponents to approach the court for judicial review. The norm is to recruit the services of legal counsel, mostly senior advocates (SANs) with good media profiles. The lawyers are not just adept at using technicalities to subvert the law but are believed to have the ability to bribe judges to procure favourable judgments. In some cases, senior advocates often regarded as veterans with good media profiles and public acceptance are purposely recruited to give legal proceedings a toga of legitimacy, while judges and their conspirators anticipate backlash or substantial public outcries over procured judgements. The judiciary is tasked with the responsibility of dispensing over 639 pre-election cases arising from the party primaries and 736 cases emanating from the just concluded elections. The presidential election has four election petitions, 207 for senatorial elections, 101 for the House of Representatives, 43 for the governorship polls and 381 for the state houses of assembly elections. Another evolving trend is the safety of judges on election petition assignments. For instance, the Osun State governorship election petition tribunals had to relocate its sitting to Abuja for security reasons. It is also important to point out the alarming fears that the location of a court may influence the judgement or ideological orientation of the judges. The Zamfara All Progressives Congress (APC) conundrum and ruling is a pointer in this direction. The judiciary is tasked with the responsibility of dispensing over 639 pre-election cases arising from the party primaries and 736 cases emanating from the just concluded elections. The presidential election has four election petitions, 207 for senatorial elections, 101 for the House of Representatives, 43 for the governorship polls and 381 for the state houses of assembly elections. The number of election petitions reveals the heated nature of the electoral contest and the conviction of some actors that they were shortchanged in the just concluded elections. It is a welcome development when aggrieved candidates and political parties approach the courts for redress, instead of the resort to violence. It is therefore incumbent on the court to deliver justice. Judicial review is the bedrock of democracy, and without it, the rights and liberty of the people will be jeopardised. It connotes that the court is an impartial umpire in the business of government and it controls the management of societal affairs. It is the constitutional right of the judiciary to review actions taken illegally by the government. It further connotes the reassessment or re-examination by judges, of a decision or proceeding by a lower court or government department. Judicial review must, therefore, advance the cause of electoral justice. Moreover, electoral justice will be attained if only those who are called to dispense justice in the society are themselves part of the democratic system and are imbued with democratic ideas. Therefore, the courts and ministers in the temple of justice must be insulated from the undercurrents of partisan politics. As human beings, they may have their individual political beliefs, but they must divorce their professional personalities from partisan politics if they would be trusted to dispense justice without fear or favour. The Nigerian judiciary cannot afford to fail the Nigerian people.